to our job we have achieved a very unique quality of work. Our key to success is about our Team: our Technicians are not only GDC registered but they are also certified (they are graduated of the dental technician college). We are PROFESSIONAL, not just trained. We offer a full range of dental products: crown and bridge (precious/non precious metal, zirconium), prosthetics (acrylic, chrome and flexi dentures), implants, attachments, CAD/CAM. 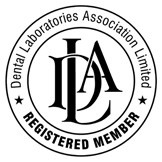 We are DAMAS registered member of DLA. 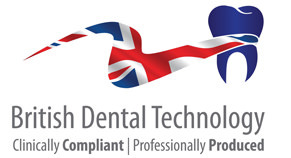 Our Lab is recommended by the largest UK dental holdings: IDH and OASIS (we are on their approved dental laboratories lists). We do not send your jobs overseas – we do not rely on cheap subcontractors. Every stage of the manufacturing process takes place within the UK to keep the highest standards and save British jobs. All invoices raised in the current month will be due by the 30th of the following month. Accounts not paid within the stated terms will be subject to a late charge of 2% of the unpaid balance. Appliances are constructed to the individual specifications of the Client and as such the Laboratory cannot accept responsibility for the suitability of that specification. By fitting an appliance the client acknowledges that the Laboratory has produced the product to the Client's specification and satisfaction. The Laboratory works Monday to Friday from 9:00AM to 5:00PM every day, please allow for weekends and bank holidays when placing orders. Our usual turnaround is 10 working days, excluding the day of dispatch. Express Service is available by prior request, subject to an additional charge. Please ensure the correct date, shade and relevant information is given on the prescription. This will enable us to meet your exact requirements. Thank You. We cover full cost of postage paid service by Royal Mail to all parts of the UK. It makes the transport efficient, quick and convenient. We supply special padded envelopes with Free Post labels on them. All you need to do is to seal it and send it back to us. All standards available: NHS, PRIVATE and DENPLAN (also called ECONOMIC or INDEPENDENT). Download our prescription forms and free-post labels.